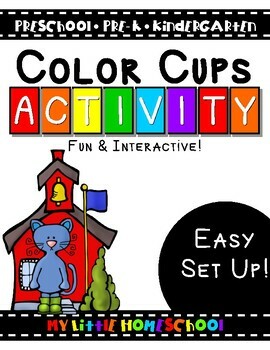 Simple & Fun Activity for little ones learning colors! 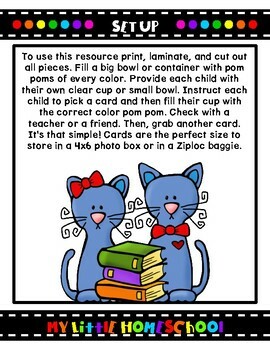 To use this resource print, laminate, and cut out all pieces. Fill a big bowl or container with pom poms of every color. 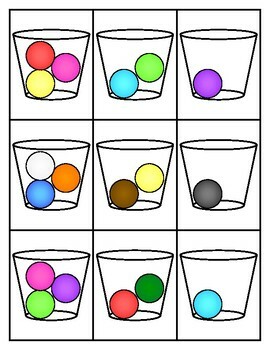 Provide each child with their own clear cup or small bowl. 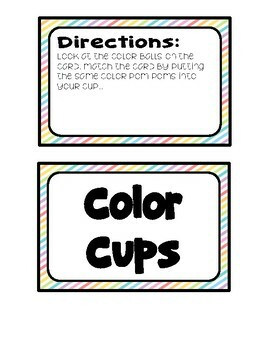 Instruct each child to pick a card and then fill their cup with the correct color pom pom. Check with a teacher or a friend. Then, grab another card. It’s that simple! Cards are the perfect size to store in a 4x6 photo box or in a Ziploc baggie.